ASEAN countries are looking to bolster their submarine fleets, but this is not an arms race. Other Southeast Asian countries have evinced interest in acquiring an undersea warfighting capability, but were prevented from doing so largely because of budgetary constraints. In the case of Thailand, even though no submarines were bought after the German offer of second-hand Type-206A boats lapsed in March 2012, the Royal Thai Navy has reportedly constructed submarine basing support and training facilities in anticipation of future acquisitions. The Philippine Navy has been eyeing submarines but for now, decided to prioritize the use of limited funds to beef up surface and naval aviation forces, with anti-submarine warfare capabilities tipped as the next major focus to substitute for a submarine capability. 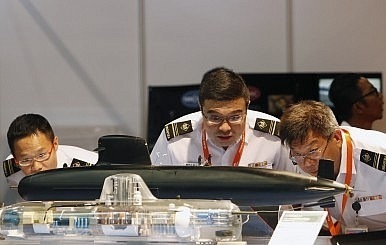 A “Submarine Race” in Southeast Asia? This recent spate of submarine acquisitions being implemented or planned has characterized Southeast Asian naval modernization efforts to date, which could lead to observers highlighting the revival of a “submarine race” in the region after the bout of submarine purchases made in the 1990s to early-2000s. A superficial survey of open remarks by the region’s defense and naval planners seemed to allude to this. For example, Indonesian Defense Minister Purnomo Yusgiantoro reportedly remarked that the submarine purchase, among other defense equipment, is designed to signal Jakarta’s commitment towards Indonesian defense modernization so that “we can keep up with ASEAN members.” Bangkok referred to the submarine programs of neighboring Southeast Asian navies when it emphasized the need for submarines as part of the country’s naval capabilities. However, technical and geopolitical indications point to neither the existence of a “submarine race” nor the prospective emergence of such a phenomenon in the foreseeable future. Any negative effects of submarine proliferation in Southeast Asia appear to be at least counterbalanced by rising trends of regional cooperation in the submarine field. While there are evident efforts among regional submarine operators to look beyond a mere “fleet-in-being” force to create a more effective and sustainable force to guard their national waters, there are no indications of a rapid expansion of submarine forces. The Vietnamese submarine force will number six boats by 2016 while the Indonesians will muster three new submarines around the same time, whereas the existing pair of West German-built Type-209s will most likely be decommissioned. With the progressive phasing out of the ageing Challenger-class boats by then, Singapore will most likely have just two Archer-class submarines in service before the first Type-218SG is inducted. In short, the number of submarines in service throughout Southeast Asia will remain more or less stable within the next decade, with new boats supplanting old ones for existing submarine users while any expansion will take place over a significant span of time, primarily dependent on the countries’ economic health. Total crime in Hong Kong decreased 4 percent in 2013 from the previous year even as blackmail offenses more than doubled because of so-called naked chat cases, according to a government statement. A total of 72,911 crimes were recorded, Commissioner of Police Tsang Wai-Hung said at a press conference yesterday, according to a government press release. Robbery, burglary, serious assault, theft, criminal damage, triad gang-related offenses and youth crimes all fell as deception, blackmail, serious drug offenses and homicide rose, he said. Hong Kong’s crime rate of 1,015 per 100,000 people was higher than Singapore’s 584 and lower than Tokyo’s 1,387, New York’s 2,361, London’s 9,500 and Paris’s 10,455. Homicides doubled to 62 in 2013 from 27 in 2012 due to the October 2012 Lamma Island ferry collision that resulted in the two captains being charged with 39 counts of manslaughter in April. 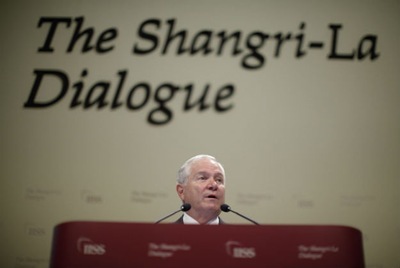 Singapore – Security in the South China Sea, tensions in North Korea, and the changing nature of Asian security will top the agenda this weekend at the Shangri-la Security Dialogue, the largest annual gathering of Asian and Pacific defense officials and experts in the world. Your humble Cable guy is already on the ground as the top delegations from 28 countries, including 16 defense ministers, convene on the island city-state this weekend for the 12th annual iteration of the conference, run by the International Institute for Strategic Studies (IISS) out of London. Last year’s event was packed with news, as when then Defense Secretary Robert Gates unveiled a new U.S. plan to increase the U.S. military commitment to Southeast Asia. Gates met with Chinese Defense Minister Liang Guanglie at last year’s event and Liang fought off verbal attacks from several regional powers on China’s aggressive activities in the maritime domain. He even answered several questions posed by The Cable. Although the United States and China tried to portray an image of improving U.S.-China military ties, last year’s event highlighted the deep disparity between the two country’s visions for the region. This year, the United States is sending a large, high-level delegation led by Defense Secretary Leon Panetta and including Joint Chiefs Chairman Gen. Martin Dempsey, Deputy Secretary of State Bill Burns, Pacific Command chief Adm. Samuel Locklear, and Assistant Secretary of Defense for Asian and Pacific Affairs Mark Lippert. There will also be a hefty U.S. congressional delegation here in Singapore, including Senate Armed Services ranking Republican John McCain (R-AZ), Sen. Joe Lieberman (I-CT), and Rep. Eni Faleomavaega (D-Samoa), the ranking Democrat on the House Foreign Affairs Committee.